Mahindra promoted Jawa Motorcycles will soon launch not one, not two but three new retro styled bikes for the Indian market. Jawa Motorcycles has even announced that the 3 new motorcycles would be unveiled on the 15th of November 2018. 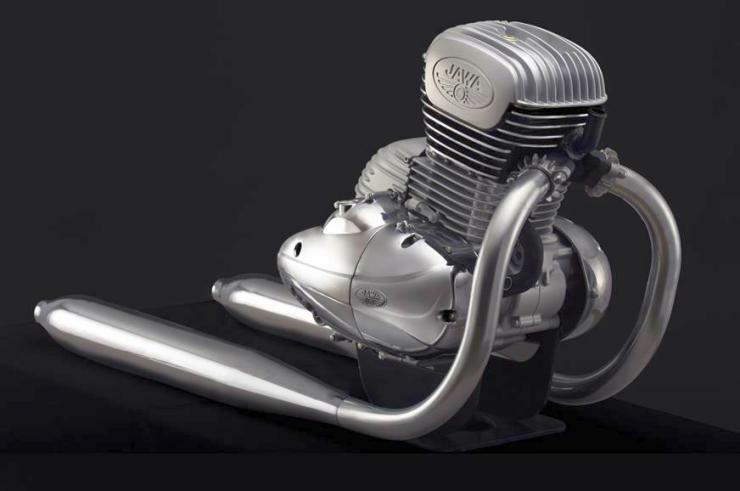 Earlier this month, the country’s latest retro motorcycle brand unveiled the 300cc engine that would power all three upcoming bikes. The picture above shows a speculative render that shows what the new Jawa 300 motorcycle could look like. 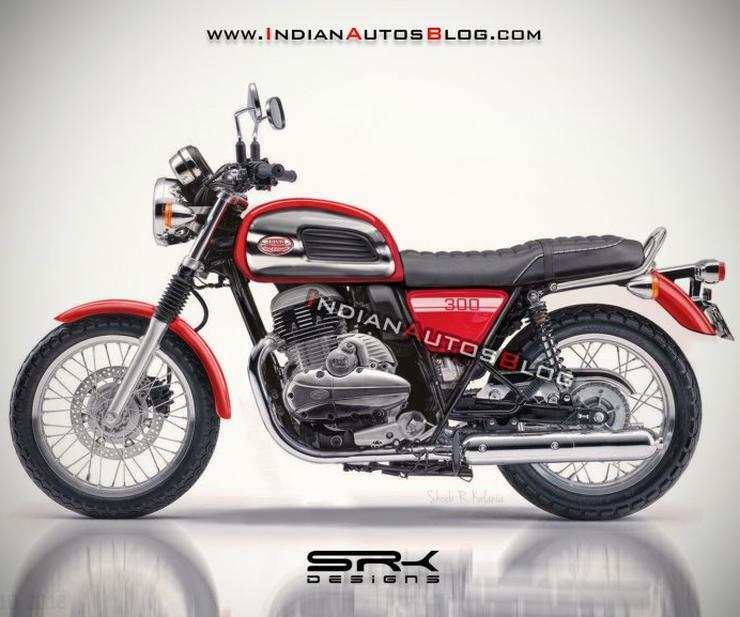 The motorcycle could take on the Royal Enfield Classic/Bullet 350 range. As the design indicates, the first Jawa 300 motorcycle could be a street bike deriving styling cues from the Californian 650, a bike that global arms of Jawa sell in Europe and elsewhere. While styling could be inspired by the Californian, the motorcycle will be powered by a single cylinder, liquid cooled engine. The modern, fuel injected engine will hark back to the past by offering twin exhausts – a signature Jawa trait. The engine that will power the new range of 300cc Jawa motorcycles is a reworked version of the Mahindra Mojo’s single cylinder motor. Displacing 293cc, the motor makes 27 Bhp of peak power and 28 Nm of peak torque. Gearbox details of the engine remain unconfirmed for now although we expect the 5 speed unit of the Mojo to be carried over. ABS will be on offer on all three new Jawa motorcycles that the brand has planned its Indian comeback with. Apart from the roadster model, a cafe racer styled motorcycle could also wear the Jawa badge. A few months ago, Jawa did release a fully faired motorcycle in Europe with retro styling and a 397cc, China-sourced single cylinder four stroke engine. For the Indian market though, the same motorcycle with the 300cc engine, modern bits such as ABS and revised styling could make an appearance. Jawa has planned its Indian comeback with about 64 dealers, and the number of these dealers is expected to be pushed to 100 very soon. 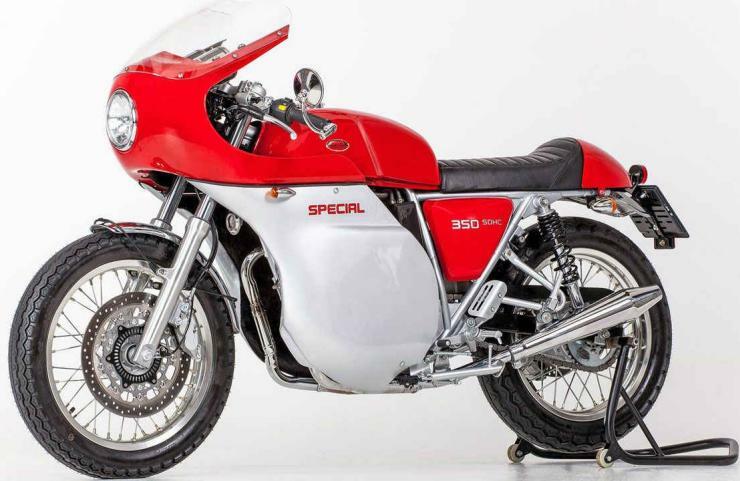 Clearly, this is not a small scale boutique operation but a serious attempt at making inroads into the fast growing retro motorcycle market. Should Royal Enfield and its Classic/Bullet 350 range be worried? Well, the pricing and styling of the 3 new Jawa 300cc motrocycles will hold a few answers.